Join us October 27th, 28th and 29th for a Bigger, Better, Boo at the Zoo, presented by Carondelet Medical Group! Visit Rancho Sahuarita’s Fall Festival Zone: get lost in a hay maze (for small children), play corn hole and ghost ring toss, meet a Mad Scientist with Brain Stem, glitter tattoos, live entertainment with Freddy Parish Band, treat stations, caramel apples, apple cider and more! Take a wild ride to Western Skele-town: Great photo ops and fun with a saloon, jail, stagecoach, outhouse and visit sponsor treat stations. Meet your favorite superheroes, ghost busters, galactic warriors, princesses, Mermaid Odette and more. The fun starts at 6:00 p.m. with early admission at 5:30 p.m. for Zoo Members. The event ends at 8:30 p.m. so arrive before 8 p.m. to make sure you get to see everything! Under two years of age are free. 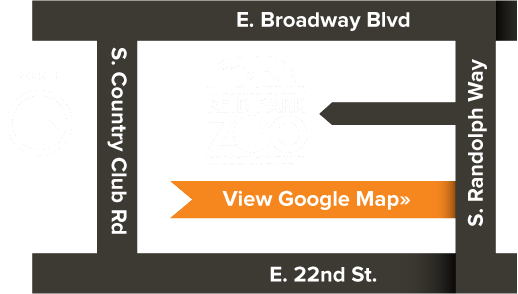 Not a Member of Reid Park Zoo? Click here to sign up!